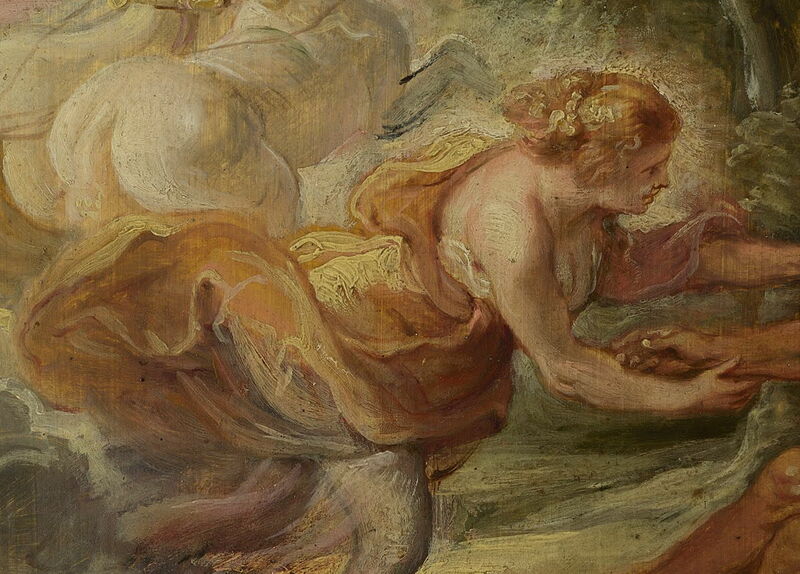 Peter Paul Rubens (1577–1640), Peace Embracing Plenty (sketch for ceiling painting) (detail) (1633-34), oil on panel, 62.9 x 47 cm, Yale Center for British Art, New Haven, CT. Wikimedia Commons. By the end of the Renaissance, most of the materials and techniques of classical oil painting were well established, and their limitations understood. However, the use of more painterly styles which exploited brushstrokes as marks and impasto were limited, as was direct or alla prima painting. 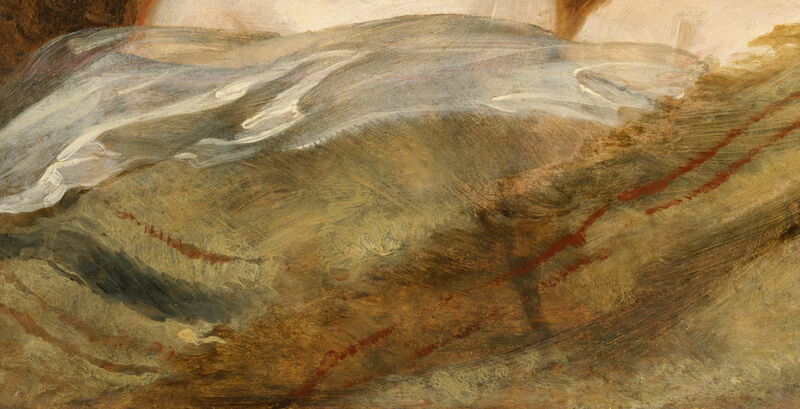 Although the number of layers had generally reduced, most oil paintings were still created using multiple layers. Sketching in oils was used by some, but letting others see those sketches was not really acceptable. This article and the next examine two major painters of the 1600s, who were to influence subsequent generations. Their extraordinary achievements in paint have been a goal of innumerable people since, who have thought that replicating their materials and methods would enable them to paint ‘like Rubens’ or ‘like Rembrandt’. The greatest body of evidence on Rubens’ choice of binders and their treatment comes from the copious records of the Swiss physician Théodore Turquet de Mayerne (1573-1655), who became physician to King Charles I of England, and settled in London. 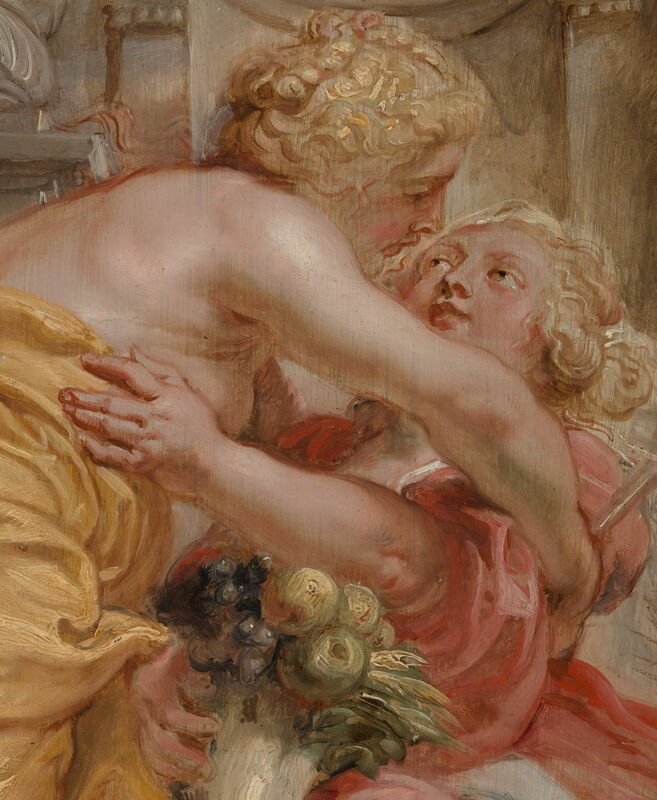 Although clearly knowledgeable, de Mayerne was not a professional painter, and relied on conversations which he had with Rubens and Anthony van Dyck (who trained in Rubens’ workshop). He conducted his own experiments, and modern researchers have tested the methods which he described and confirmed that they appear sound. According to de Mayerne, the drying oils used at that time were linseed (still the staple in northern Europe), walnut, and poppy. The latter two were known to yellow less, and poppy oil also dried more slowly. Thickeners included egg white or hide glue to form an emulsion, resins particularly pine, and treatment of the oil by heat or sunlight. He also described the addition of lead oxide (litharge) and zinc sulphate as siccatives. 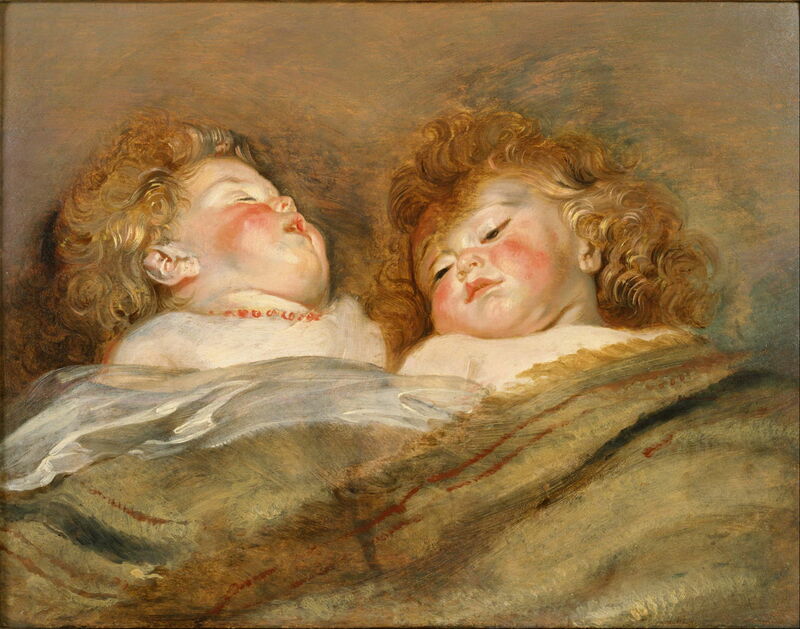 He made a point of recording that, far from the frequent use of thickened paints, Rubens used ‘oil of turpentine’, distilled from pine resin, to reduce the viscosity of his paints for application in thin layers. 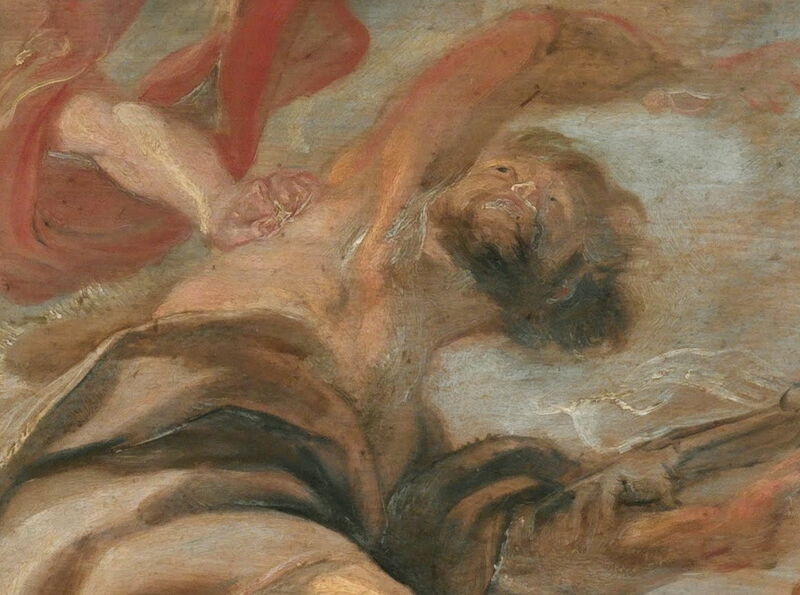 On occasion, rapid application of thinned paint resulted in drips and splashes, which can be seen in some of Rubens’ paintings. Peter Paul Rubens (1577–1640), Expulsion from the Garden of Eden (1620), oil, dimensions not known, Národní galerie v Praze, Prague, Czech Republic. Wikimedia Commons. Peter Paul Rubens (1577–1640), The Expulsion from the Garden of Eden (detail) (1620), oil, dimensions not known, Národní galerie v Praze, Prague, Czech Republic. Wikimedia Commons. 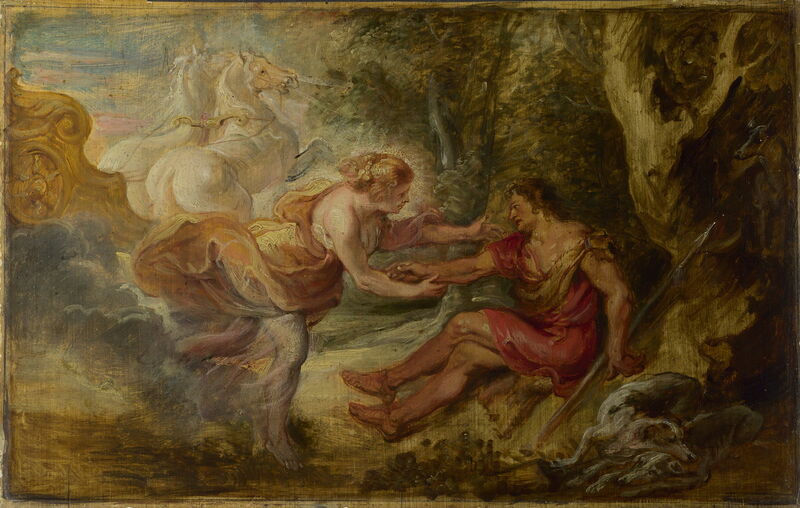 Rubens’ Expulsion from the Garden of Eden (1620) appears to be a quite well-finished study, in which much of his paint seems to have been applied when in quite liquid form, and some has been brushed wet-in-wet. Highlights, such as those on flesh, and white fabrics, have been added last, using more viscous paint wet-on-dry. 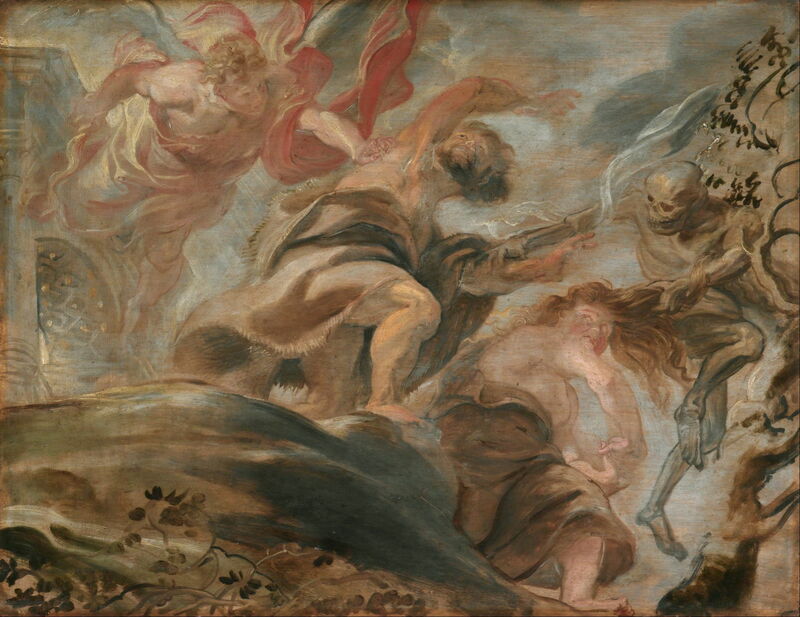 Rubens normally used a neutral grey mid-tone imprimatura over the ground, on top of which the underdrawing would be worked up from an earlier oil sketch or study being used as the modello. Less saturated colours would then be used to develop the dead colouring, onto which he would add key highlights and brights. Upper layers of paint were applied using a rich variety of techniques, using paint which ranged from the thin (diluted using turpentine) to the buttery and even stiff. His paint was stiffened by boiling the oil down or possibly by adding small amounts of egg white (but see the next article on the use of egg), seldom by using resins, and was applied most commonly in highlights, where his brushmarks remain apparent. Peter Paul Rubens (1577–1640), Peace Embracing Plenty (sketch for ceiling painting) (1633-34), oil on panel, 62.9 x 47 cm, Yale Center for British Art, New Haven, CT. Wikimedia Commons. 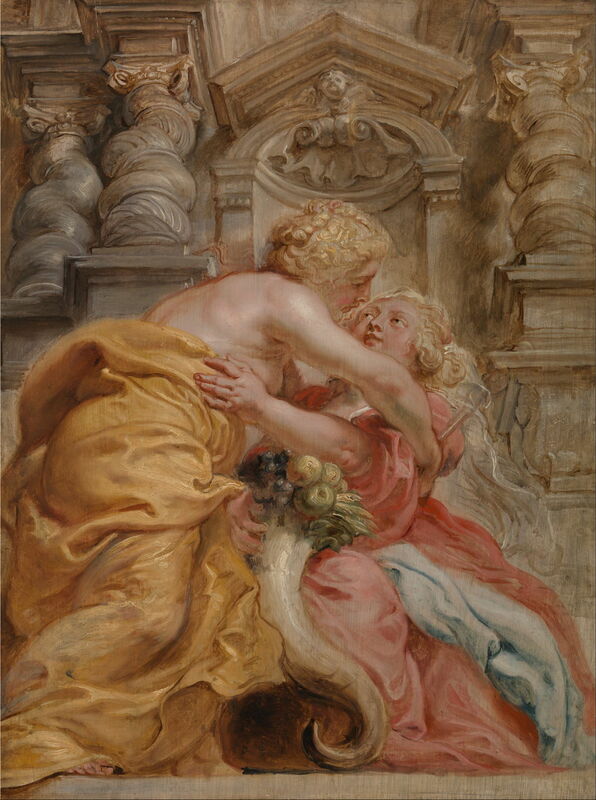 Rubens’ repertoire of techniques is best seen in his oil sketches and studies, which he produced in preparation for finished works, and occasionally as paintings in their own right. He clearly achieved great economy of effort by making as few virtuoso marks as was necessary to form each object within the painting, and often left an uneven paint surface where there was shallow impasto, brushstrokes, and occasional incised sgraffito. Rubens’ paintings are masterpieces, which relied on control of the viscosity of his paints, but overwhelmingly on his great and masterly skills in applying that paint. 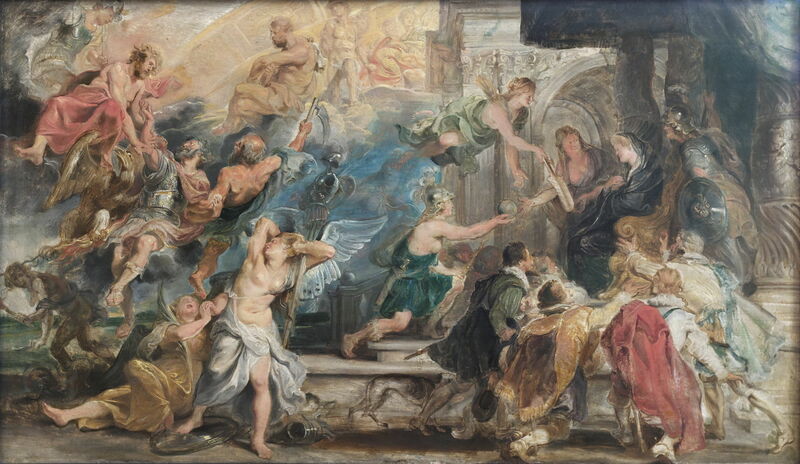 Peter Paul Rubens (1577–1640), The Apotheosis of Henry IV and the Proclamation of the Regency of Marie de Médicis, 14 May 1610 (c 1622-25), oil, dimensions not known, Alte Pinakothek, Munich. Wikimedia Commons. 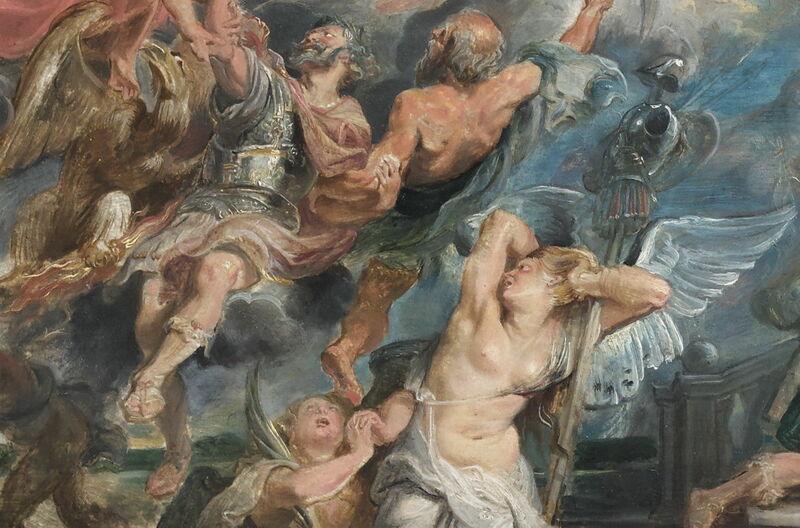 Peter Paul Rubens (1577–1640), The Apotheosis of Henry IV and the Proclamation of the Regency of Marie de Médicis, 14 May 1610 (detail) (c 1622-25), oil, dimensions not known, Alte Pinakothek, Munich. Wikimedia Commons. Van Hout N & Balis A (2012) Rubens Unveiled, Notes on the Master’s Painting Technique, Ludion. ISBN 978 94 6130 013 3. Posted in General, Painting, Technology and tagged de Mayerne, history of painting, oil paint, oil painting, painting, Rubens, van Dyck. Bookmark the permalink.